With more than 40 years of experience in health care delivery, in both clinical and administrative settings, Dr. Boyer first joined MAXIMUS in 1995. 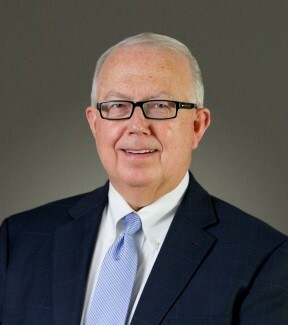 During his tenure, he played a critical role in leading and growing the Company’s health services business, founded the MAXIMUS Center for Health Literacy, and established and led the MAXIMUS Federal Services subsidiary. MAXIMUS is a publicly traded company (NYSE: Symbol MMS) headquartered in Virginia and operating with a mission of “Helping Government Serve the People.” For four decades, the firm has assisted federal, state, and local government agencies in serving citizens who are eligible to receive publicly funded health and human services benefits via programs such as Medicare, Medicaid, and Children’s Health Insurance. John currently serves as Chairman of the Board of Directors of the MAXIMUS Charitable Foundation, the non-profit philanthropic arm of MAXIMUS, established in 2000 to further extend the mission of the corporation. Through a competitive grant program, the Foundation provides financial assistance to organizations who serve low income or otherwise disadvantaged individuals and families. John works with several philanthropic and nonprofit organizations including the Parkinson’s Foundation of the National Capital Area, Health eVillages, Summit for Stem Cell, and the Robert F. Kennedy Human Rights Leadership Council. Prior to joining MAXIMUS, Dr. Boyer served as Director of Health Services Financing Policy at The Pentagon; as Director of the Health Manpower Division of the Navy Bureau of Medicine and Surgery; and in a host of clinical and academic positions over a 24-year career as a U.S. Navy Nurse. He completed his Ph.D. in Public Administration at The American University, where he continues to serve on the School of Public Affairs Advisory Council. Additionally, he holds Masters Degrees in both Management and Nursing, and a Bachelor of Science Degree in Mathematics Education.